Once you sign-up, you can add 4 additional team members within your EZGovOpps Portal. If you have a team member that already has an EZGovOpps account, ask them to get add you. If you sign-up for your own trial you will not be able to experience the extensive collaboration tools that are available within EZGovOpps. Your trial will expire at Midnight on . Congratulations! Your 5-Day free trial awaits. Your validation/activation email should arrive in your inbox within 15 minutes. if you don't see it, please check your spam/clutter folder. Step 1) Validate Sign-Up via Email Step 2) Login to EZGovOpps Step 3) Experience EZGovOpps free! Schedule a personalized demo to enhance your evalution. Get started with your free 5 day trial. You can now advertise your company as an interested vendor within the EZGovOpps platform for potential teaming opportunities. We’ve added the ability to flag interest on solicitations, allowing other members to take note and contact your designated point of contact. 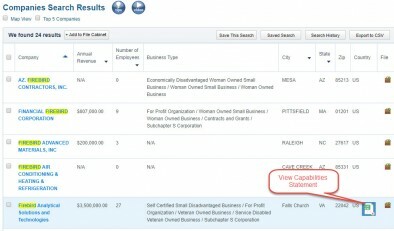 In addition, you can include notes regarding teaming requirements and share your business’ capabilities statement. 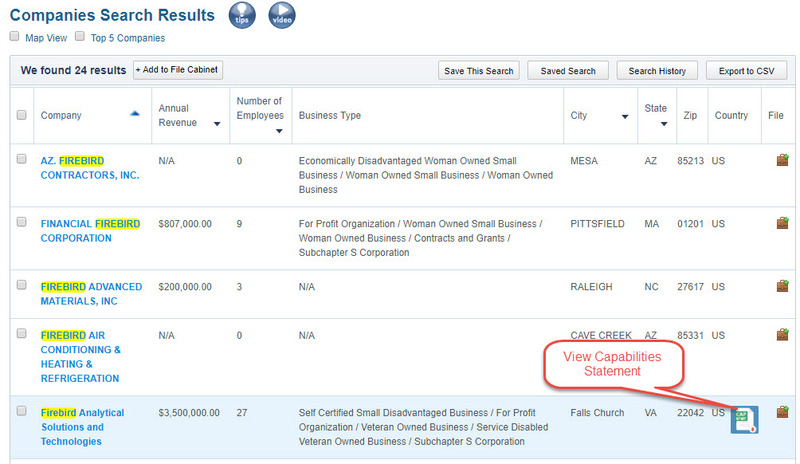 These new notices will display as a small icon on opportunities in the Solicitations search and Dashboard. By adding your DUNS number within your profile, your company will be displayed as an EZGovOpps member. 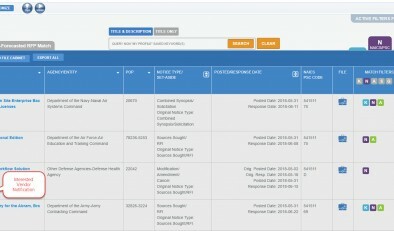 This is displayed in the Company Search, where members will be able to see all opportunities you’ve flagged interest on and view your capabilities statement as well. We hope this proves helpful for teaming opportunities, and we’d be happy to introduce you to other EZGovOpps members with a shared interest. Should you wish to see this feature in action, please schedule a quick learning session with us. 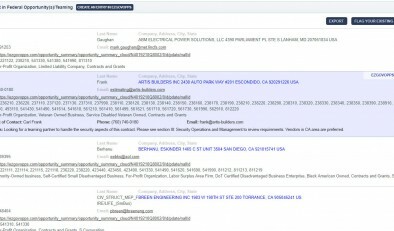 An EZGovOpps member flagged in the Company Search. A flagged interested vendor listing in an opportunity summary page. EZGovOpps is recognized as the nation's leader in providing an affordable web-based business intelligence tool for government contractors. Copyright © 2013 EZGovOpps.com. All rights reserved.